Grand Cayman Dive / Off The Wall Divers offers private and small group dive trips to Stingray City (SRC). The SRC dive is known as the “best 12ft. dive in the world.” Let Grand Cayman Dive / Off The Wall Divers show you why. Stingray City is located on the shallow, sandy bottoms in Grand Cayman’s North Sound and sits along side a channel which passes through the barrier reef, just moments from the North Wall. 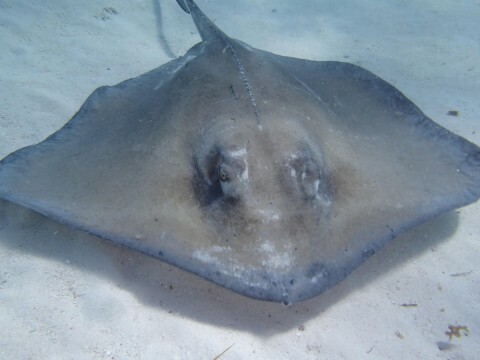 Stingrays are bottom dwellers that frequent sandy bottoms such as that found at Stingray City. It is there that the resident Southern Stingrays find an abundance of their food. Divers eventually discovered Stingray City and discovered that the stingrays were willing to take food from their hands. Articles appeared in dive magazines, popularity grew and Stingray City became what it is today. Stingray City has become known throughout the world and featured on many television shows. Grand Cayman Dive can show you Stingray City with the personalized friendly service you deserve, away from the large crowds. Call us now to experience the best shallow water dive anywhere in the world. NOTE: Grand Cayman Dive/Off The Wall Divers is based out of the Lobster Pot Dive Center. We also have a “slip” at the Cayman Islands Yacht Club, where the SRC trip would depart from. This dive is most likely to happen in the Summer months when winds are calm. During the Winter months, the winds are from the NE/N and this makes SRC a less desirable dive. We will only book this trip once you are on-island and ocean conditions can be determined. Our family of five divers and one non-diver spent 8 days with Off the Wall Divers and the experience was outstanding – the great staff, the personal service and the fabulous dives, all simply outstanding. …A great time for all! As expected, the many dive sites at Grand Cayman are as beautiful as ever and Off the Wall did a great job in visiting different sites each day. 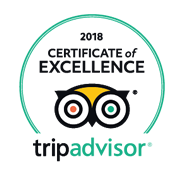 If you’re looking for fantastic service, a friendly staff of dive professionals, and the best dive experience you’ll ever have, check out Off the Wall Divers.